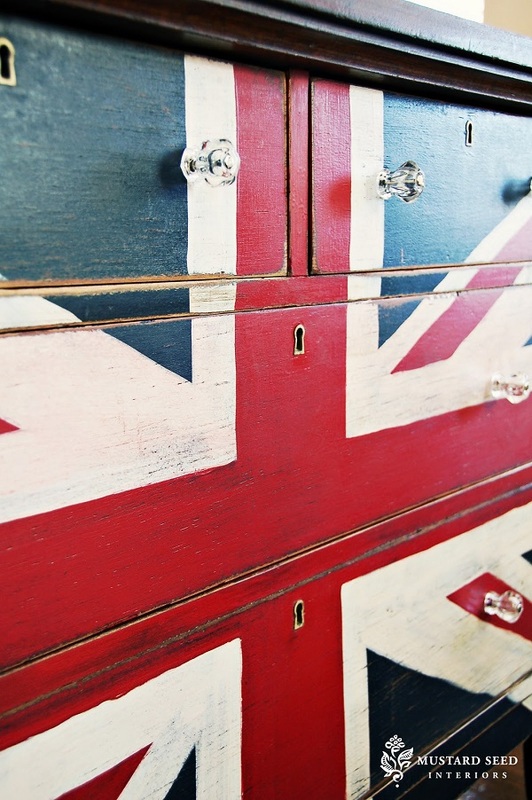 The Union Flag, often referred to as the Union Jack, has stood as the symbol of the United Kingdom for centuries. 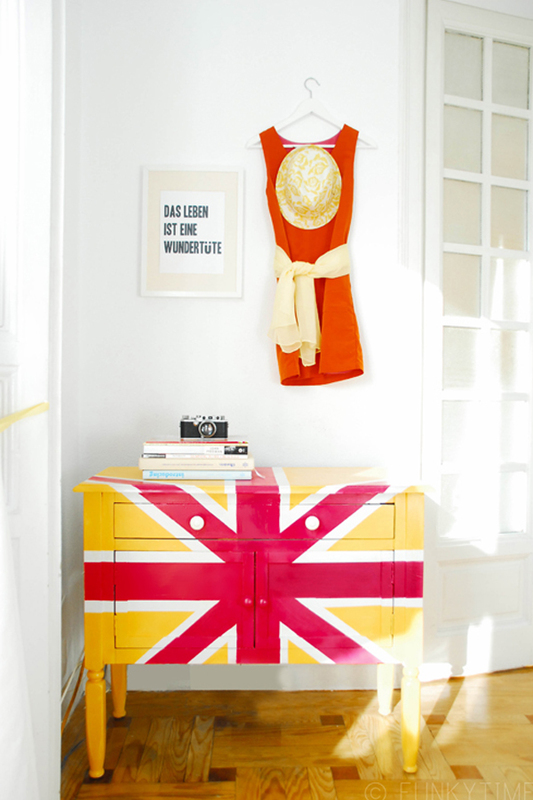 While the British have certainly influenced much of history, they’ve left their mark in another way- through decor! 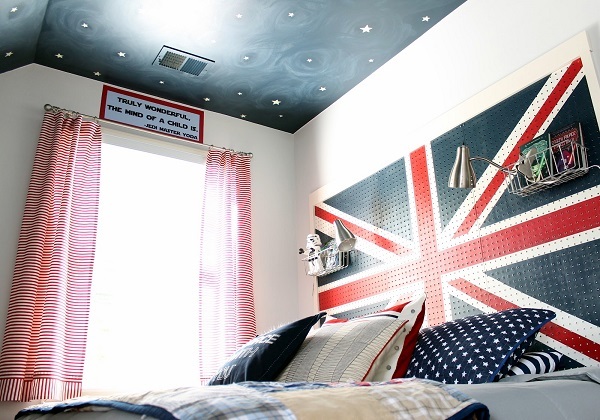 The familiar red, white and blue combo has served as inspiration for plenty of stunning DIYs. 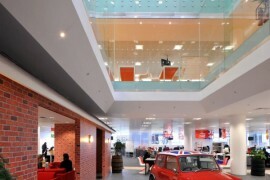 Here are just a few that incorporate traditional design, as well as a few innovative versions. 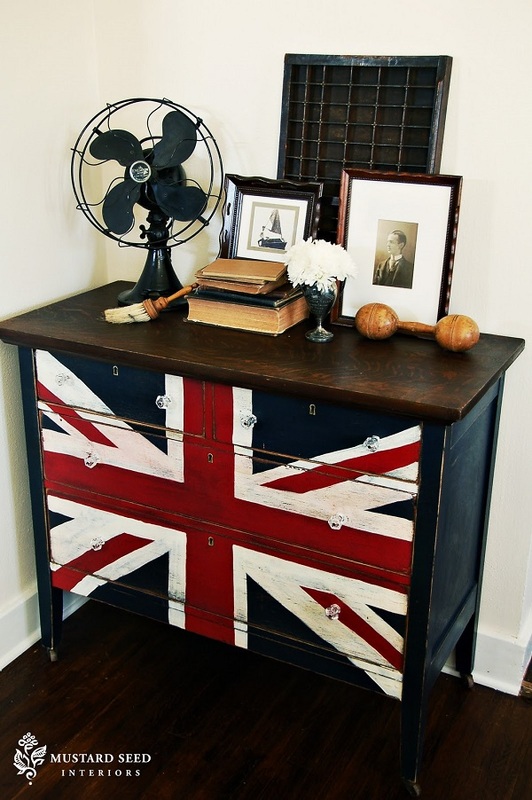 The flat surface of a dresser is the perfect place to incorporate the Union Jack in your decor. 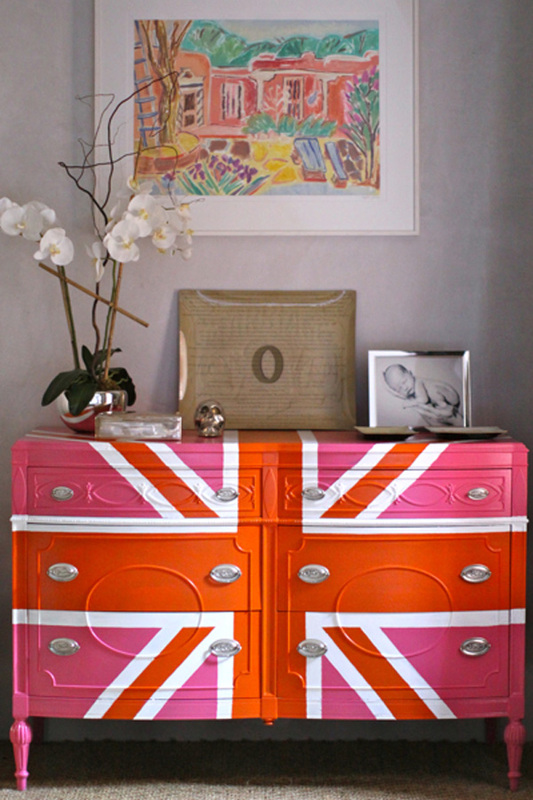 This DIY by Marian of Miss Mustard Seed transformers ordinary drawers into a patriotic work of art with the use of tape and paint. 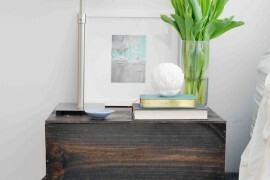 Create an antique look by allowing wood to peak through the stripes. 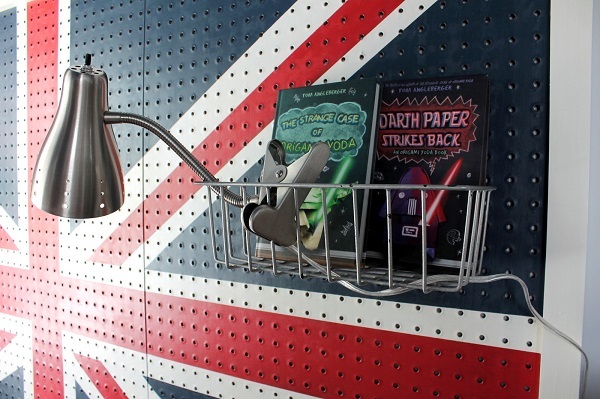 Organization gets a British twist with this pegboard by Carmel of Our Fifth House. With endless possibilities for storage configurations, you’ll want one of these in every room! If you use this as a headboard, be sure to mount it securely. 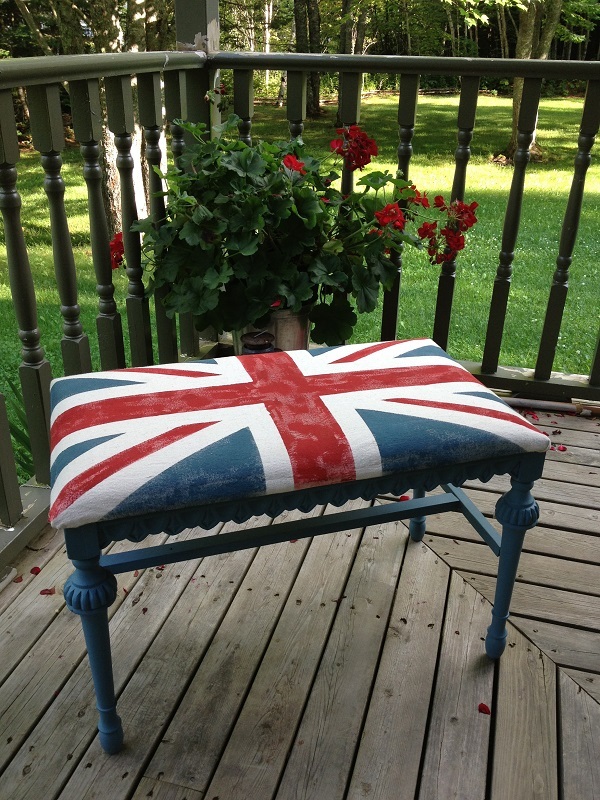 Sit in style with this Union Jack bench created by Wendy of Front Porch Mercantile. The shabby chic painting really makes a statement when displayed on a patio or porch. If you use your bench outside, be sure to finish with a sealant so the elements won’t fade or damage your work. 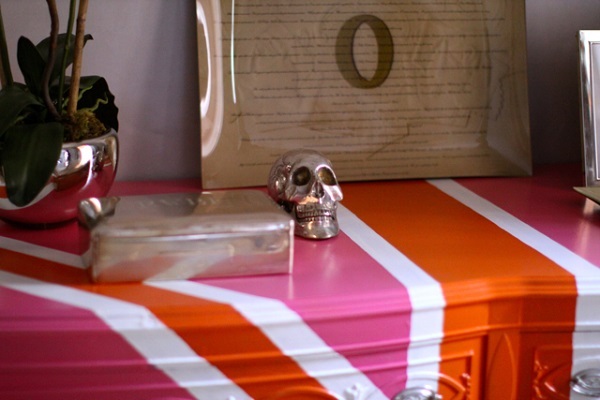 Turn a plain mirror frame into a show stopper with this DIY by Brittany of Brittany Makes. 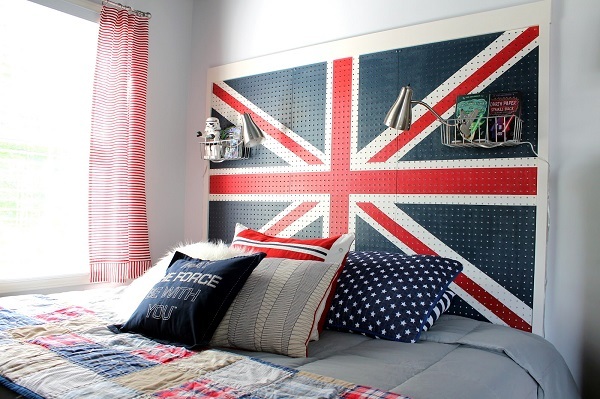 If you want to feature the Union Flag in your decor but don’t want to incorporate a full flag, the partial print of this project is a great compromise. 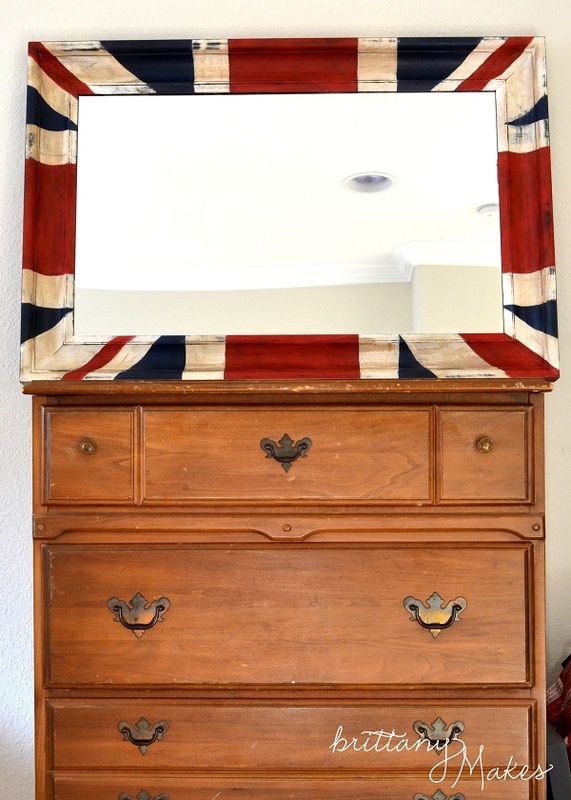 Union Jacks are almost always featured in red, white and blue. While the classic design is a safe bet, a neutral color scheme gives the familiar symbol a modern twist. 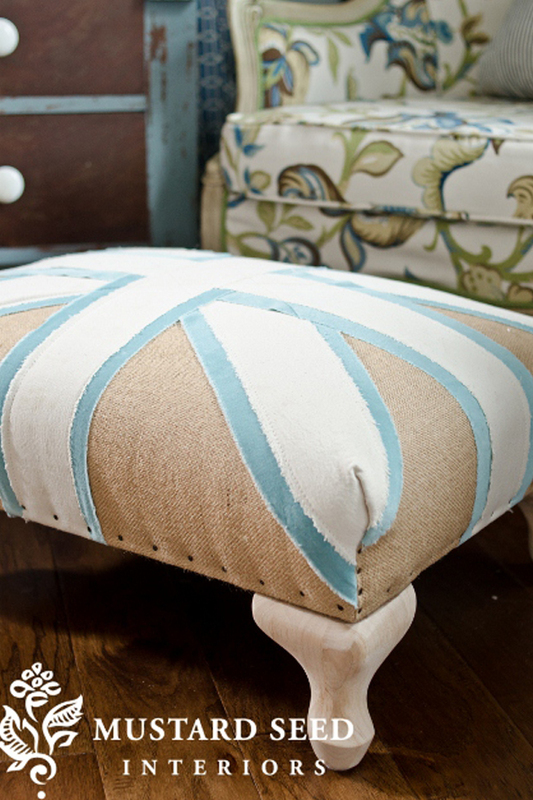 This tan and blue ottoman by Marian of Miss Mustard Seed offers plenty of styling options thanks to its muted appearance. 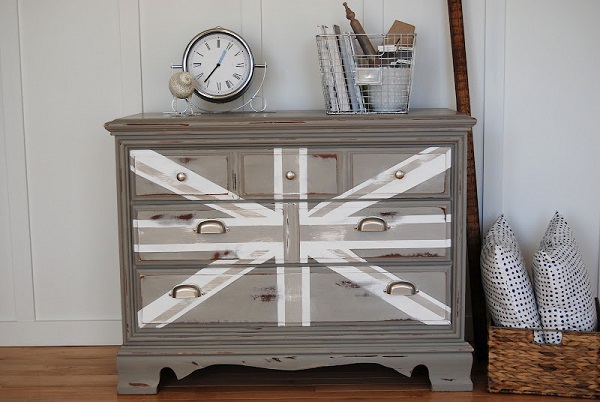 A gray Union Jack is a sophisticated take on the original version. 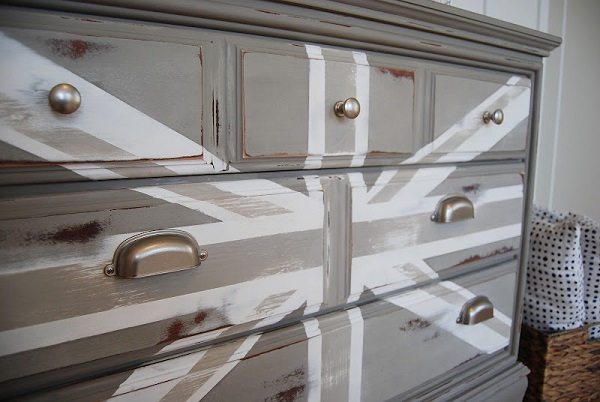 Painted by Courtney of Reckless Glamour, this monochromatic dresser makes a big decor impact despite its neutral color range. Keep the appearance consistent by using hardware in the same hue. 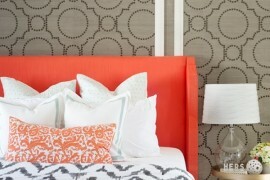 Bright colors are a youthful alternative to the typical color scheme. 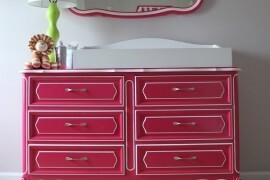 This dresser by Sibylle of Funkytime is electric thanks to magenta and yellow paint. Try using paint that is highly saturated. Painting multiple layers makes it difficult to even out brush strokes and adds waiting time for drying. 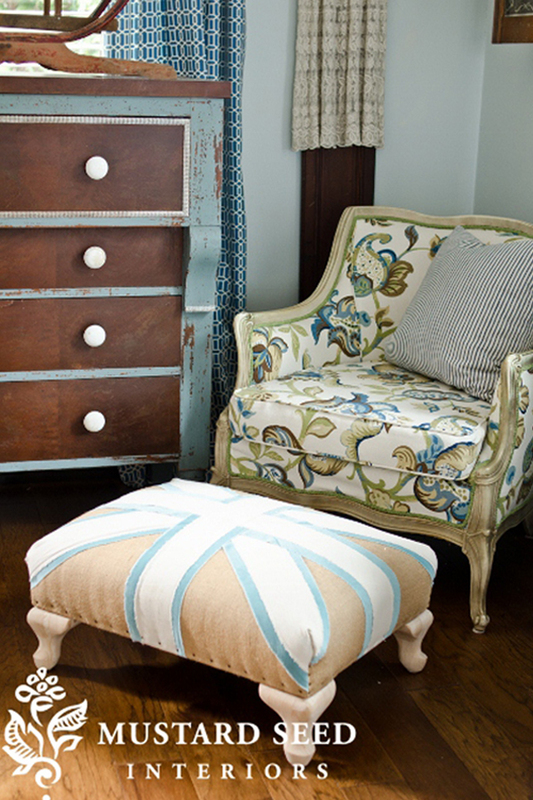 The citrus hues of this dresser by Sheridan of The Southern Eclectic is sure to bring cheer to your home everyday. The high gloss lacquer finish is a posh touch that makes this piece an instant colorful classic. 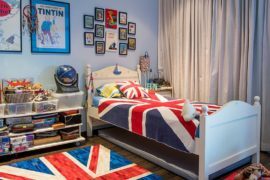 Whether you stick with the traditional design or strike out with a colorful twist, the Union Jack is a decor symbol making waves across households everywhere. 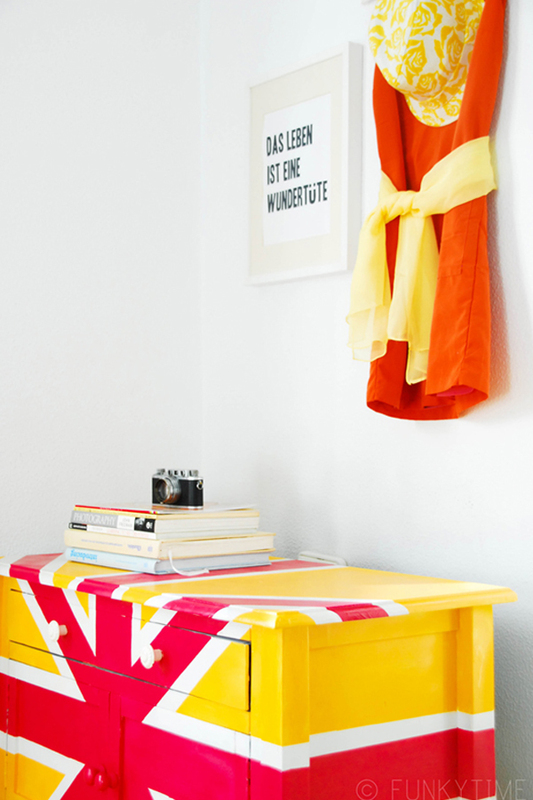 Jump on this trend today and try one of these DIYs? Did any of these projects catch your eye? Tell us which one in a comment below.